Medicines There are 17 products. Drontal Plus XL Flavour Tablets kill every type of intestinal worm commonly found in dogs. A single dose every 3 months is generally sufficient for most dogs, although some dogs which scavenge may need to be treated more often. Panacur Equine Guard Horse Wormer for horses containing 10% fenbendazole for the treatment and control of adult and immature roundworms. Apple flavour. Drontal puppy suspension; for the worming of puppies and young dogs up to one year of age. Effective for roundworms and whip worms. 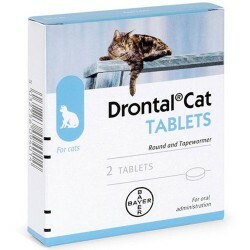 Drontal Cat Tablets will kill every type of intestinal worm your cat is ever likely to get, and both will do so with a single dose, and without having to starve your cat first. 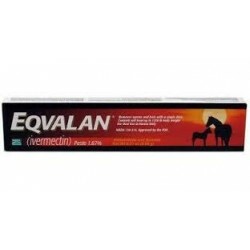 Equitape Horse Wormer uses the active ingredient Praziquantel to create a highly powerful and effective anti-Tapeworm treatment with no effects against other types of worms. Equitape should be administered as part of a comprehensive worming course, particularly when Tapeworms are most prevalent including the start and finish of grazing season. 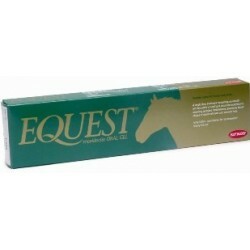 Equest contains moxidectin and is one of the few wormers licensed to control the important encysted larval stages of small red worms. It has a long period of anti-worm activity after the dose has been given (13 weeks) and so helps to reduce pasture contamination. Frontline Spot On for dogs kills fleas and ticks and controls biting lice on both cats and dogs. It is fast acting and kills fleas within 24 hours and ticks within 48 hours.